Daniel serves as associate senior attorney at the Liberty Justice Center. From 2012 to January 2018, Daniel was a key leader in Gov. Scott Walker’s administration. He served as deputy legal counsel for Gov. Walker and was among the attorneys who defended Wisconsin’s Act 10. He was also previously the chief of staff and legal counsel to Lt. Gov. Rebecca Kleefisch, and policy director for the governor. Prior to working in Wisconsin government, Daniel clerked for the Hon. Diane Sykes, U.S. Circuit Court Judge of the U.S. Court of Appeals for the Seventh Circuit. 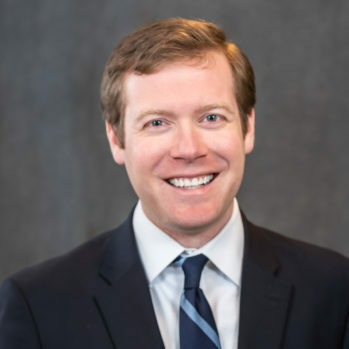 He also worked at the Federalist Society in Washington, D.C.
Daniel holds a Bachelor of Arts (honors) and Juris Doctorate from Marquette University. He also earned a Master of Laws in Law and Public Policy Process from Georgetown University Law Center and a Master of Public Affairs from the University of Missouri-Columbia. His legal scholarship has been published by the William & Mary Bill of Rights Journal, Georgetown Journal of Law & Public Policy, Marquette Law Review, and Texas Review of Law & Politics, among others. He is a member of Christ Church Mequon, an Eagle Scout, and a fair-weather runner. He’s married to Anna and loves building legos and watching Star Wars with Will (7) and Graham (5).